The unrest in Tunisia over the past few years has unsurprisingly impacted the country’s economy. However, lawmakers are hopeful that certain changes in policy will encourage foreign investment and finally improve the fortunes of the nation. 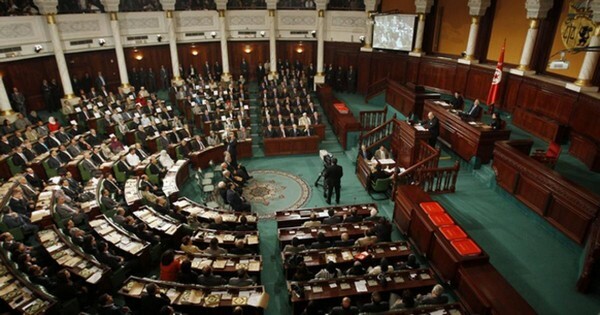 The laws are due to come into place early next year, with the aim of doubling the amount of foreign investment that Tunisia receives over the next five years. They will attempt to incentivize foreign investments and specifically target those companies that attempt to export from the country. Additionally, any company that wishes to invest further in Tunisia will be encouraged by other financial incentives. The end result is that anyone who is investing from abroad will have much more flexibility in regards to transferring funds, which include any profit that has been made, out of the country. Additionally, the number of administrative procedures will be reduced significantly, meaning that the whole process of managing an international company in Tunisia will be simplified. While it will be next year before the laws are announced in detail, initial insight suggests that it will be companies such as international car manufacturers that benefit the most as they are often keen to spread further through the country, but are restricted due to the current financial implications. The aim of the changes is to reduce the wealth gaps that are so prevalent through Tunisia at the moment. While coastal regions remain affluent, other parts are struggling and this is creating a mammoth gap that is sabotaging the country’s prospects. Over the past four years the country has found international investment very hard to come by. Since Zine al-Abidine Ben Ali was ousted back in 2011, Tunisia has been the subject of a lot of unrest and this has meant that investor confidence, particularly from abroad, has been at an all-time low. However, as well as encouraging investment from overseas, the government is hoping that it can improve the fortunes of its native workforces. For example, in September it agreed with UGTT, who are the most powerful labor union in the country, for 800,000 public sector employees to experience a pay raise for the second time in a year. This came at a staggering cost of $1.2 billion, but the government claimed that it was an essential course of action to calm tension, prevent strikes and ultimately improve confidence amongst the public in the direction in which Tunisia is heading. It goes without saying that a calmer public is also going to appeal more to investors from the outside. While the government has set the target of doubling foreign investments over the next five years, they have also made some shorter-term targets. For example, in 2016 it is hoped that the country will attract 2.8 billion dinars worth of investment – with this an increase of 300,000 dinars this year. If everything goes to plan, and foreign investment follows the path that they are predicting for the next five years, it should take foreign investments in 2020 to $2.5 billion. Unfortunately, there is still a little apprehension as the new law has not yet been approved by parliament. Nevertheless, most in power realize that to meet these targets, all of the barriers that currently exist for international investors need to be lowered substantially. To encourage further investment, Tunisia is looking to bring additional ideas to the table. One of these is to hold an international conference in 2016, with this targeting investors from the Gulf and West who may still need convincing about the possibilities of investing in a country that has experienced so much torment over the last four years.